This small 1 gallon galvanized tub features a hot-dipped, corrosion-resistant finish, wire-reinforced rim, body swedges, and an offset bottom. These key features ensure that these incredibly weather-resilient buckets will last for decades on end. Sturdy for indoor and outdoor use. These 1 gallon galvanized steel buckets are even deep enough to accomodate plants as attractive planters. Serve up to 5 standard beverages on ice. 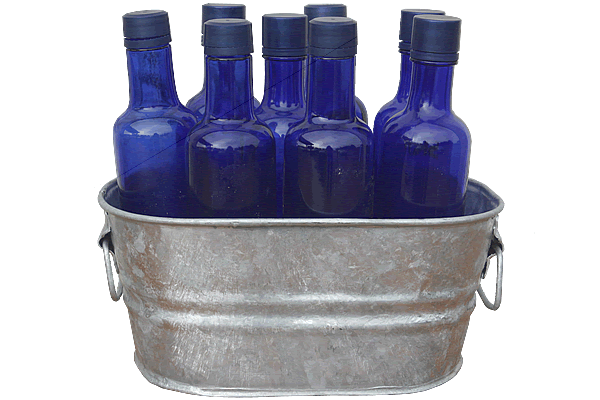 We also offer this 1 gallon galvanized bucket in a shiny galvanized finish. Related: How long will galvanized metal last? So you want to plant in galvanized metal? 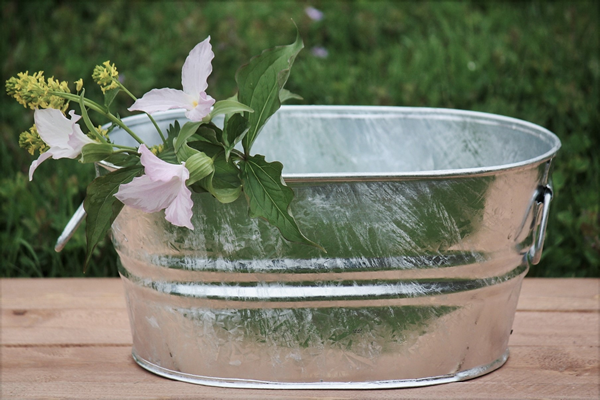 Learn how to make a galvanized tub into a planter.